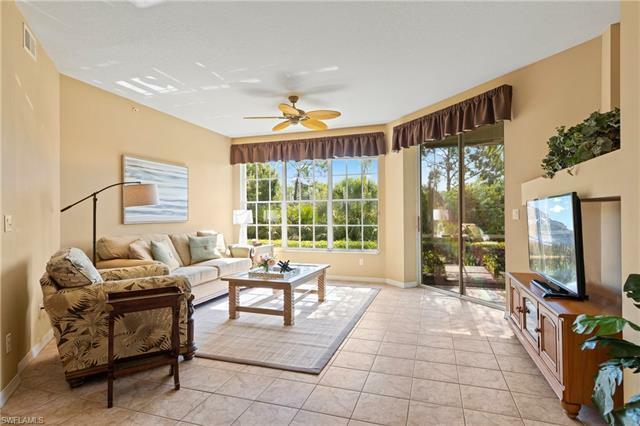 24360 Sandpiper Isle Way #102, Bonita Springs, FL.| MLS# 219010589 | Southwest Florida Residential Real Estate for Sale. MOVE-IN READY, updated 2 bedroom + den/ 2 bath coach home in Sandpiper Isle is ready for you to enjoy. All the work has been done to this split bedroom floor plan including granite throughout the kitchen with updated stainless steel appliances, pull out drawers throughout the home (including in the garage! ), granite in both bathrooms with all new fixtures, frameless spot proof shower door in master. The den lends itself to a 3rd bedroom option with a queen pull-down Murphy bed. Private views from the lanai that has been freshly painted, new screens have been installed and new rollers on sliders with sun shade have been updated. Garage includes bike rack, metal shelving, counter and cabinets for extra storage, repainted walls and new coating on the floor. Home is being sold turnkey furnished with NO exclusions. © 2019 Bonita-Estero MLS All rights reserved. Information deemed to be reliable but not guaranteed. The data relating to real estate for sale on this website comes in part from the Broker Reciprocity Program. Real estate listings held by brokerage firms other than Royal Shell Real Estate are marked with the BR logo and detailed information about them includes the name of the listing brokers. Listing broker has attempted to offer accurate data, but buyers are advised to confirm all items. Information last updated on 2019-04-19.